You park in a lit parking lot. You walk into the grocery store through doors that open automatically. Large LED lights hang from the ceiling throughout the store. You pull some of the food you’re buying out of freezers or refrigerators. When you check out, you put that food on a moving conveyor belt. Your cashier calculates every item you’re buying using a laser scanner and computer. You pay using a credit card terminal and take your receipt from a miniature printer. Then you walk back through the automatic doors and out to your door to go home. Chances are, you don’t think about the electricity needed to power all that even once. If you do stop to think about modern electricity, it’s almost overwhelming. It’s hard to imagine daily life or even something as simple as shopping for groceries without it. Certainly our lives would all be fundamentally different. You couldn’t even read this blog without electricity! One day in 600 AD, Thales of Miletus was sitting around Greece, doing science stuff–you know how it is. During his experiments, he rubbed rods of amber together and discovered static electricity. It didn’t power anything, of course, but it was the first time a scientist ever wrote about electricity. …at least, we think. We’ll go out on a limb here and give him that honor, since there aren’t records of anyone doing it earlier. In 1752, Benjamin Franklin proved lightning was electrical with that whole “key and kite” experiment. The British scientist Michael Faraday generated electricity in 1831 using a machine called the Faraday disk. The Faraday disk produced a steady current of electricity by rotating copper coils between the poles of a magnet. George Westinghouse and Nikola Tesla used the same concept to open the first major electricity generating plant in 1897. Instead of rotating the coils by hand, however, they used the energy and power of Niagara Falls to rotate the coils and produce electricity. Power lines carried electricity from the plant to homes and businesses as far as 200 miles away. That power plant still generates electricity today! In the 1860s J.C. Maxwell kicked off a new era of physics when he unified magnetism, electricity, and light. Maxwell’s four laws of electrodynamics–“Maxwell’s Equations”–eventually led to electric power, radios, and television. In 1878, Joseph Swan invented the first incandescent light bulb, but it burned out quickly. That same year, Thomas Edison founded the Edison Electric Light Company in New York City. He bought a number of electric lighting patents and conducted experiments to develop a practical, long-lasting light bulb. After many, many attempts (this is the guy who said “Genius is one percent inspiration, 99 percent perspiration”) Thomas Edison invented an incandescent light bulb that lasted about 40 hours without burning out. By 1880 they lasted for 1200 hours! Nikola Tesla invented the “Tesla coil” in 1883. The tesla coil is a transformer that changes electricity from low voltage to high voltage. “Transforming” electric voltage this way makes it much easier to transport over long distances. The same concept is still applied to transport electricity via transformers today! By the 1880s, electric power was ready for national distribution–at least, in theory. Before electricity could make the jump from labs to the public-at-large in practice, however, we needed infrastructure. A lot of infrastructure. To start, we needed someone to building electric power generators. Then, we needed a means of transporting the power generated. With the help of J.P. Morgan’s money, Edison set about solving both problems. In 1882, Edison brought several of his companies together to form what would eventually become General Electric. In September of that year, Edison opened the United States’ first central power plant in lower Manhattan—the Pearl Street Station. Before Pearl Street, people actually had generators in their home, usually in the basement. With Pearl Street, Edison used buried copper wires to connect several generators to local homes and businesses. This central power plant design turned electrical power into an industry. As a businessman, Edison was… a good inventor. That’s why he left running the business to his personal assistant Samuel Insull. If Edison brought electric lights to the rich, then Insull brought electricity to everyone. You may not have heard of Insull, but he was instrumental in creating the electricity business. Insull knew that if electricity was going to be accessible and affordable, it needed to be efficient. He consolidated small electricity providers and replaced small generators with larger, more efficient General Electric units. Insull also made the system more efficient by making different power grids work together. Linking grids together provided backup and reliability and eliminated the need to build new grids where they already existed. Overall, Samuel Insull turned a luxury product into an affordable part of everyday life for millions of Americans. So there’s your History of Electricity. It barely scratches the surface! We couldn’t get into the explosion of new appliance inventions that naturally occurred after Insull made electricity widely available. We didn’t even have time to discuss the complicated politics of creating a power grid, much less the advent of the Public Utility Commissions! Still, brief though it may be, hopefully this history of electricity gave you a little more context into the power you use every day. It’s been quite a journey to get here–and we’re all still part of that journey every day! 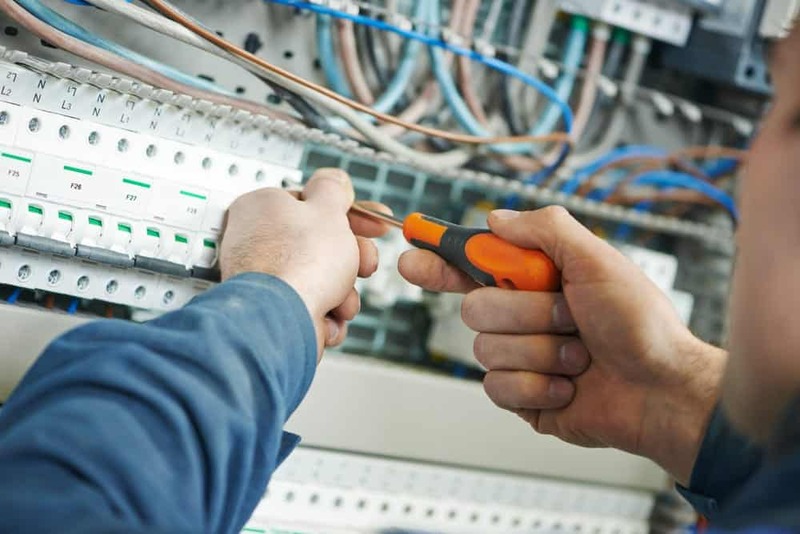 If you ever have an electrical problem, give the experts at EarlyBird a call any time. We can’t promise we’ll make history–but we can promise to solve your problem right.